118 Beacon is located on the north side of Beacon, between Arlington and Berkeley, with 116 Beacon to the east and 120 Beacon to the west. 118 Beacon replaced an earlier townhouse at the same address. Alice King purchased the house on May 15, 1907 from the estate of Henrietta Lockwood and it probably was razed soon thereafter. On August 5, 1907, Henry King filed the original permit application to build their new home. Click here for an index to the deeds for 118 Beacon. Henry King died in October of 1913. Alice King and their son, Henry King, Jr., continued to live at 118 Beacon. Henry King, Jr., married in December of 1919 to Mary Parker, and they lived with his mother until 1920, and probably until he graduated from Harvard in 1921. Thereafter he became assistant treasurer of the Leather Steel Products Company, manufacturers of industrial strength matting, and they moved to 101 Chestnut. By the 1922-1923 winter season, they lived at 229 Marlborough. Alice King continued to live at 118 Beacon until her death in June of 1938. After her death, Henry and Mary (Parker) King lived temporarily at 118 Beacon. Their primary residence was in Jamaica Plain. On June 22, 1939, 118 Beacon was purchased from Alice King’s estate by Fisher Business School (later Fisher College). 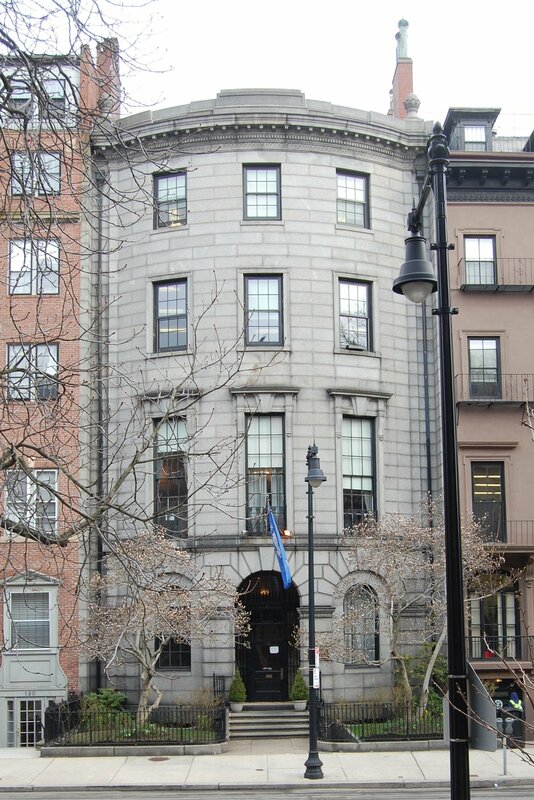 The transaction was reported in the Boston Globe, which noted that 118 Beacon was “well known for its interior woodwork, paneling and flying staircase of polished marble,” and that the school would install “modern lighting and furnishings, including a cafeteria for student use.” Fisher Business School previously had been located at 30 Franklin and also maintained a campus in Somerville. Fisher College subsequently acquired 112 Beacon in 1944 and 114 Beacon in 1952. In 1954, it acquired 116 Beacon and in July of 1954 it applied for (and subsequently received) permission to convert it from a lodging house to a school building and to consolidate the property with 118 Beacon. It cut through connections between the buildings on the basement and third floor levels. In 1961, it acquired 108-110 Beacon, and in 1962 it acquired 102-106 Beacon. As of 2015, Fisher College owned 102-104–106–108–110–112–114–116-118 Beacon, 111 Beacon, 115 Beacon, 131–133 Beacon, 139–141 Beacon, 1 Arlington, and 10-11 Arlington. The original townhouse at 118 Beacon was built ca. 1856 for banker and merchant Richard Sullivan Fay and his wife, Catherine Sanders (Pickman) Fay. It was originally numbered 109 Beacon, but re-numbered as 118 Beacon ca. 1862. The Fays previously had lived at 89 Mt. Vernon. They also maintained a home in Lynn. 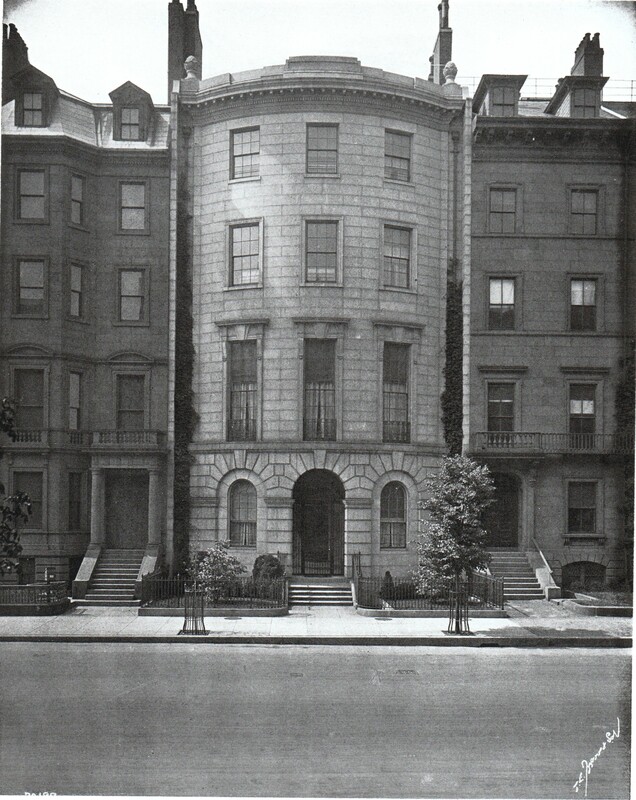 Richard Fay purchased the land for 118 Beacon on June 28, 1855, from the Boston and Roxbury Mill Company. On February 28, 1857, he transferred the property to William D. Pickman and Joseph S. Fay as trustees on behalf of himself and his wife. William Dudley Pickman was Catherine (Fay) Pickman’s brother, and Joseph Story Fay was Richard Sullivan Fay’s brother. 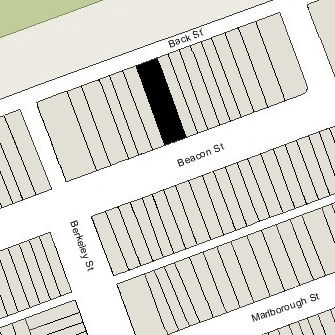 Richard and Catherine Fay continued to live at 118 Beacon in 1862, but moved thereafter to Lynn. On November 9, 1863, 118 Beacon was purchased from William Pickman and Joseph Fay, trustees, by Caroline Augusta (Patten) Mudge, the wife of Enoch Redington Mudge. They previously lived in Swampscott, where they continued to maintain a home (in 1888, it was sold to the Swampscott Land Trust, and Frederick Law Olmstead was retained to lay out the roads and building lots in the area). Enoch Mudge was a cotton manufacturer and agent for several New England cotton and woolen mills. He served as a member of the Massachusetts Senate in 1867-1868. In the late 1850s, he had been a partner with Richard Sullivan Fay in the banking firm of Fay, Mudge & Atwood. Enoch Mudge died in October of 1881 and Caroline Mudge died in January of 1882. 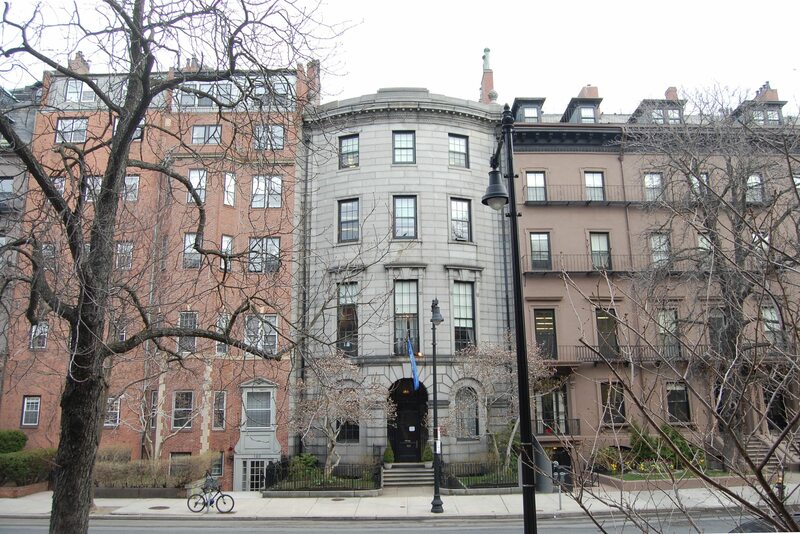 118 Beacon was not listed in the 1882 and 1883 Blue Books. On February 2, 1882, 118 Beacon was acquired from Caroline Mudge’s estate by Pauline (Agassiz) Shaw, the wife of mining investor Quincy Adams Shaw. She and her husband lived in Jamaica Plain. On April 19, 1883, 118 Beacon was acquired from Pauline Shaw by Rhodes Lockwood. He and his wife, Henrietta (Niles) Lockwood, made it their home. They previously had lived at 121 Beacon. They also maintained a home in Lexington. Rhodes Lockwood was a manufacturer of rubber goods for druggists, surgeons, and other specialized uses. On October 13, 1887, he transferred the property into his wife’s name. In 1898, the Lockwoods traveled abroad and 118 Beacon was the home of wholesale boot merchant Charles Hasbrouck Davis and his wife, Florence Elizabeth (Endicott) Davis. They previously had lived at 125 Beacon. They continued to live at 118 Beacon in 1899. By 1900, the Davises had moved to The Tudor at 35 Beacon and the Lockwoods were living at 118 Beacon once again. Rhodes and Henrietta Lockwood continued to live there until their deaths in 1905, she in June and he in August. On May 15, 1907, 118 Beacon was purchased from Henrietta Lockwood’s estate by Alice King, the wife of Henry P. King. The house was demolished soon thereafter.